Health problems – are definitely problems. We are here to help them go away. Read the Treasures of Healthy Living Bible study. Check out the consultation options below. Contact our office for an appointment: Annette@designedhealthyliving.com or fill out the contact form below. This consult is offered free to everyone who has purchased all 3 Treasures books. The time of 30 minutes will go quickly,so have your questions ready when your special time is scheduled. Please contact us via email or the form below so we can give you uninterrupted time. This Free consult is good for one family member only. If you could take one hour and get an overview of how your health and nutrition plans are working or not working, then this is for you. Requirements: Client Agreement, Wellness Profile, Candida Test, and Liver Test. If you have any blood work you wish the consultant to review, please have it submitted at least 72 hours before consult. Includes: 1 hour - sometimes this goes to 1.5 hours, a personalized plan that shows what nutrients are lacking and which ones are at healthy levels. Nutrition and supplemention suggestions will be given. One visit may not be enough when your health is in question. This consult includes 3 months of coaching/consulting which includes everything listed in the Nutrition Check -Up plus follow up to make sure the changes are working and results are being enjoyed. Time: First visit/call - 1.5 hours, Weekly calls for the first month - 30 minutes, bi-weekly calls in the second month 30-40 minutes and then 2 calls in the third month scheduled as needed. Requirements: Everything listed in the Nutrition Check-Up. All must be received 72 hours prior to consult. Includes: 3 months coaching/consulting and personalized nutrition plan. Do you ever feel like nothing is working? Weight plateau, energy evaporated, counting sheep not helping with sleep, supplements confusing? Then this program is for you. Includes: 6 months of coaching and consulting: initial call to get started up to 2 hours, bi-weekly calls, webinars, full menu personalized for your current lab values to reset your metabolism. Fee: $797.00 plus lab fees(required) - can use current lab work from your doctor if all necessary test are included. typical cost $129. To request your consultation today please complete the form below. 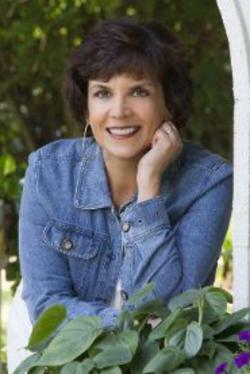 Annette Reeder, holds a B.S. in Nutrition from Huntington College plus a Diploma Biblical Studies from Liberty University. She has been studying food, nutrition and medical science for 30 years. Annette Reeder is a professional member of National Association of Nutrition Professionals, American Society of Nutritionist, and certified with Metabolic Balance. The joy of her career is seeing people’s lives changed as they apply biblical principles to their health. She is the wife for over 30 years to Steve, the mother of two grown married kids; Brent and Stacey, mother-in-law to Mollie and Chris and the grandmother of two darling girls; Lillie and Stella. Don’t be surprised if you find her riding her bike, hiking a trail or catching a wave in the ocean. The kitchen is entertaining but the outdoors is the real adventure.